Another week down in RT Kids means another week of fun, messes, and Jesus! 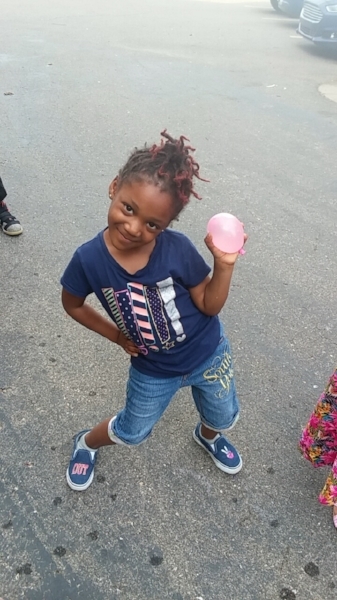 Last Wednesday night we were able to enjoy the beautiful summer weather and spend time outside, drawing with chalk, riding scooters, having Nerf gun wars, blowing bubbles, and overall, just having a good time. Absolutely loving all the fun we've been able to have outside over the past few weeks! Afterwards we took some time to talk about how our words have power and how we have the choice to build others up or tear others down, simply by the things we say. Each child wrote down their name, and then all the other kids took the time to write something positive or something they like about that individual. One of our older boys, who naturally tends to be a little reserved, was especially reluctant in the beginning, so it completely melted my heart when I noticed him writing compliments such as "nice hair", "I like your shirt", "you're a good friend", for the other kids. Even though it may have been out of his comfort zone, he still put effort into thinking of something he personally liked about each one of our kids, and I was so proud of him, knowing what it meant for him to do that. Our main point in RT Kids this Sunday was "Who are you living for?" We talked about how every person has to personally make the decision if they're living for themselves, for others, or for God. A lot of our kids (especially our boys) were hyped after the NBA Finals (go, Warriors!) so it was a great opportunity to use Steph Curry as an example, and show them that just like he has been very vocal about his faith, they too can make the choice to live for God and rep Him, no matter where they are or who they are with. And a special shout-out to our youth helpers! They kill it every Sunday, but especially this week, they held things down, had my back, and kept me sane in the midst of all the fun and wildness that is RT Kids. I couldn't do it without their help and I'm so thankful for each one of them. Looking forward to another fantastic week in RT Kids! This Sunday we learned about how Satan is the father of lies and how we all have to make the choice if we are going to believe the lies he tells us, or if we are going to hold on to the truth that God has given us. The best part is always at the end of our lesson time, when our children have the chance to choose if they want to make the decision for themselves. One of my absolute favorite things to listen to is the sound of kids praying with sincerity, with conviction, with belief. Our kids may be young but when it comes to learning God's Word, they are true champions! Also happening in RT Kids this past Sunday was Boys versus Girls! Our teams competed all throughout the service, racking up points in the hundreds for things like singing the loudest, paying the best attention, winning games, and performing our 4 Most Important Things. Both teams rocked it but the boys ultimately won with a high score of 1,400 points...which meant I had to pay the price. 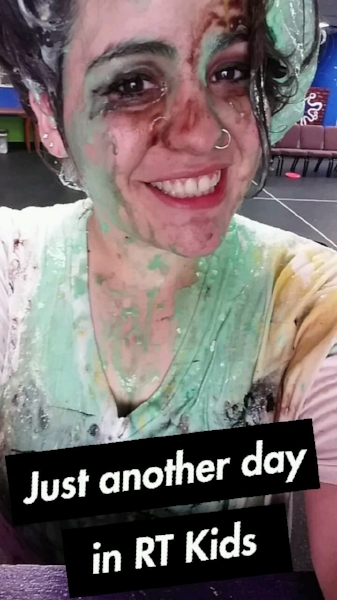 Our boys were more than happy to shower me with slime, pie in the face, flour bombs, and raw eggs. It might be a (very, very, very) long time before I'll agree to hold this competition again...but no lie, it was a FUN day! Congratulations to our boys on their win! Another week down in RT Kids! This Sunday we learned about making the choice to rely on God and believe in the promises He has given us, even when times get hard. We had a first-time visitor in RT Kids last week who came again this week, and not only did she remember what we had talked about, she was even answering all the questions from lesson time! I know I say it all the time, but our kids do such a great job at paying attention and taking God's Word to heart. This past Wednesday night we had the chance to play outside and it was great. Chalk, bubbles, ladder ball, water games, Nerf guns, ice cream sundaes...it was all kinds of great. Looking forward to a whole summer of fun! This coming Sunday in RT Kids, we are having Boys vs. Girls: Ultimate Showdown! The kids will have a chance to win points for everything, from game time, to singing the loudest, to which team is the best at paying attention during lesson time...and at the end of the service, the winning team will get to choose which member of the RT Kids team will be getting slimed and flour-bombed and water-ballooned and pied in the face. (I need my girls to come through strong to make sure it's not me lol) It's going to be a fantastic day...make sure you don't miss it! This past Wednesday night in RT Kids, we were learning about serving others, so we took the opportunity to make cookies for the soup kitchen on Thursday. By the time we were done, we had frosting everywhere (the floor, the walls, the ceiling lol) but our kids did a great job! I love seeing their hearts for others. This Sunday we learned about God's promise to hear us when we call out to Him. Our kids never fail to impress me. No matter how crazy or wild things get during game time, when it's time for the lesson, our kids sit up straight and pay attention! So proud of them. Speaking of crazy...we had a few special visitors in RT Kids this week. The kids had a blast trying to wrestle these guys to the ground, and it was hilarious to watch! Shout out to the amazing RT Kids team who are so willing to serve and put up with everything I ask of them, even when it means jumping into a sumo suit and getting tackled to the ground, repeatedly. They really are the best. Coming up in RT Kids: in a few weeks we will be having a boys versus girls competition, where the winning side will get to choose one member of the RT Kids team to slime, pie in the face, and more. You already know it's going to be a good time! Stay tuned for more fun in RT Kids! Another week has passed, which means more fun in RT Kids! This past Wednesday, our children hand-painted necklaces to give to their moms on Mother's Day. And they did a fantastic job! They used so much care in making each piece beautiful and unique. I love seeing their creativity! 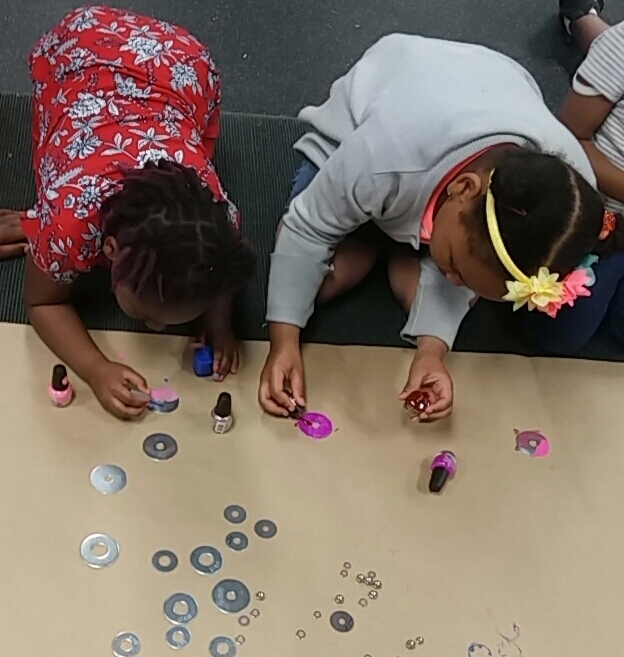 And they didn't only make necklaces for their own moms; our kids even went above and beyond to make jewelry for the moms of kids who weren't able to make it Wednesday night. They put such special effort into what they were doing and absolutely killed it! I have to give a special shout-out to the RT Kids youth helpers! With all the projects that have been happening lately on Wednesday nights, our kids area was messier than usual. After the children had left with their parents this past Wednesday night, the teens came to help me clean up, without being required to. Not only did they voluntarily help with cleaning, they even asked their parents if they could stay late, to make sure it all got done. I was so impressed with their work ethic, and so touched by their hearts. RT is truly raising up an incredible group of young people who are getting ready to change the world. I feel blessed to have the opportunity to serve with them every Sunday. This Sunday, we continued learning about the promises of God. Our main point this week was "Hold on to the promises of God." When I asked the kids if they knew any promises from God, they told me about God's promise with the rainbow, about God's promise to never leave us, and about God's promise to always love us. I was proud of our kids coming through with that Bible knowledge! And my personal favorite moment of this week: there is a young boy who is fairly new to RT Kids but always seems to have mad fun in kids church. As service was dismissed this Sunday and parents began coming over to pick up their children, he turned to me with a thoroughly disappointed face and said, "Wait, church isn't over already, is it?!?" I absolutely love it that church is a place where kids want to be. Looking forward to another great time in RT Kids this week! This past Sunday in RT Kids, we began learning about the promises of God. Over the next few weeks we will be studying the different promises that God has given us, and how they show up in our everyday life. The focus of our lesson this Sunday was "People may break their promises but God will never break His promises." Our kids did such a great job at memorizing all 10 Commandments at the beginning of this year, and I'm looking forward to us working together to memorize God's promises as well. I was so proud of our faithful RT Kids this week! We had several first-time visitors in kids church on Sunday, and our kids went above and beyond with explaining the rules to them, helping them learn the 4 Most Important Things, showing them how we do it in RT Kids. They absolutely killed it at making RT Kids a welcoming place, and as one of our new girls said good-bye to me, her words were "This was fun! So Jesus was hype, too?" I'm so glad that church is a place where we can both get close to God, and also have a great time. And I'm especially grateful for our amazing group of kids who keep kids church both real and fun, and helped our visitors feel right at home. Our Wednesday nights in RT Kids are always a little crazy, a little chill, and a lot of silliness. This week the kids had the chance to make their own ice cream (which was a fabulous mess, as you can see) and complete various different challenges, like Human Tic Tac Toe. (The girls completely destroyed the boys in that one, by the way 💪) As the weather gets warmer, we are getting excited to soon be able to have some outside play on Wednesdays. Looking forward to water gun fights, water balloons, and all kinds of fun in the sun. . .it's going to be a great summer at RT Kids! As you know, RT Kids had Wacky Tacky Day this past Sunday. ( I was so relieved to see our kids remembered to dress up so I wasn't looking crazy by myself lol) Our kids did a phenomenal job at showing up wacky and tacky! There were fake mustaches and clothes on backwards and blue hair and all kinds of silliness. 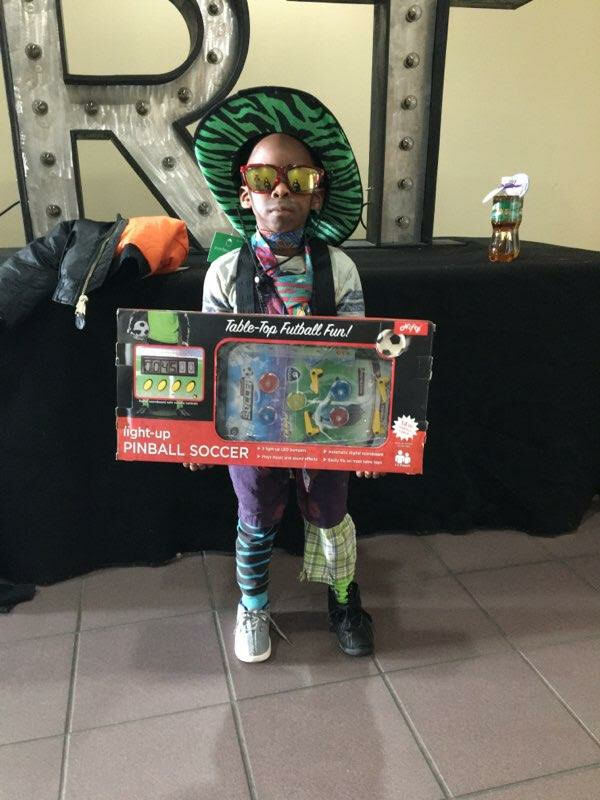 Our winner for the craziest outfit was Richard, with Kaylin and Ezra as runners-up. We had breakfast and crazy games. . .it was a fun day! I love when we have the opportunity to do themed Sundays. Our next one will be a Superhero Sunday. Look for that over the summer! This past Wednesday night in RT Kids, we talked about random acts of kindness. 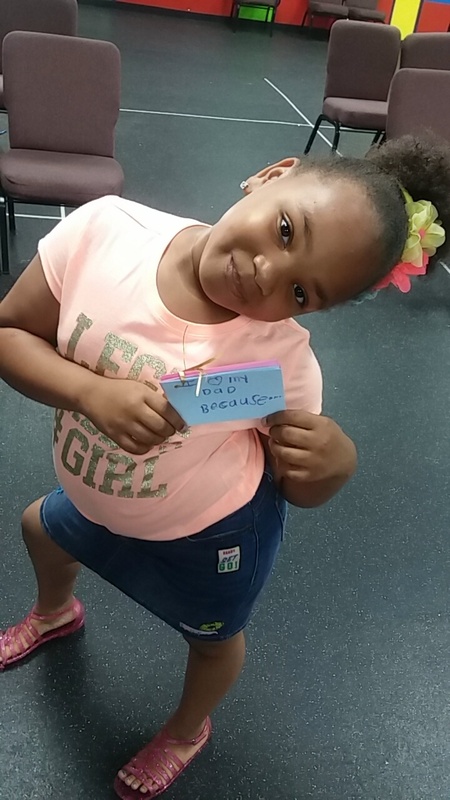 Each child had the chance to write cards and fill them with candy for anyone who they thought could use a smile. At first the major focus for the kids was the candy, of course, but as we began to write the cards, I was so impressed by their hearts as they wrote card after card after card, for parents, siblings, teachers, friends. I actually had to finally stop them from making any more because we were running out of time, but I loved seeing how much they were thinking of others.